Sold as Pair with Flat Washers and Sticker. Stiifer bushing for the 100 degree temps! We decided to go with a stiffer durometer bushing for the hot summer months here in AZ. Definitely better return for all of your effort while pumping! Not sure if I'm going to go back to the softer duro in the cooler months... Right now this is great! 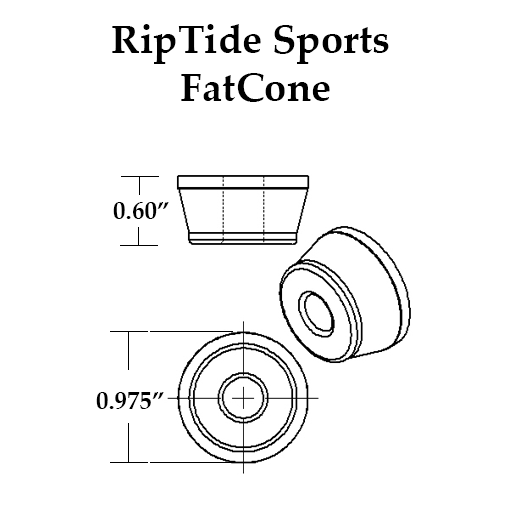 Running these bushings in my rear tracker rts on my pumping setup...Couldn't be happier with the bushings or Riptides customer service....they are great!! !